Skype - With the Skype app, you can make free Skype-to-Skype calls, and send and receive IMs for free, one-to-one or with a group. You can also call phones at Skype’s great rates – over WiFi or 3G. To make calls to phones abroad, simply dial the number in Skype and pay with Skype Credit – or make unlimited calls with a subscription. When you’re abroad, we recommend that you connect to a WiFi zone for best value. If you already use Skype on a computer, you'll see your full contact list when you sign in to Skype on your Android phone. If not, you can set up an account and be ready to go in minutes. · Leave Skype running all day with no noticeable battery drain. To achieve these amazing savings, we've temporarily turned off push notification of group chat messages. · If you are a group chat user and want to continue receiving these notifications, go to Settings > Notifications, and check the "Sync group messages..." box. · Video messaging compatibility fixes. · Added support for 14 more languages: Catalan, Croatian, Czech, Greek, Hungarian, Latvian, Lithuanian, Serbian (Latin), Slovak, Slovenian, Romanian, Turkish, Ukrainian, Vietnamese. · The screen will stay lit when dialing (call setup) now. Once the call is connected, the proximity sensor will work as normal. This is to prevent WiFi from powering down, which was causing calls to fail before completion. · HTC specific crashes. Samsung specific issues. · Several display oddities, especially on small or low resolution screen phones. · Video calls would begin displaying call status information. · Audio routing to the wrong speaker. · You can now sign out from any of the home screens in addition to the profile screen. Just hit the menu key from any of them. · For good measure we've fixed some more bugs too, including one that might have prevented you from making any calls or changing your status to online. · Completely redesigned Skype for Android to be faster and easier - especially when you're trying to fire off a quick message. Everything is at your fingertips. As soon as you open the app, you'll notice the clean new look listing your recent conversations - just tap on one to catch up and reply. When you tap or swipe over to the Contacts or Favorites tabs, tapping on a person brings you right into a messaging window so you can start a conversation. And from there video calls, voice calls and everything else are just one tap away. · Try new Video Messaging. Record a video and send to friends and family on Skype, even when they're unavailable. 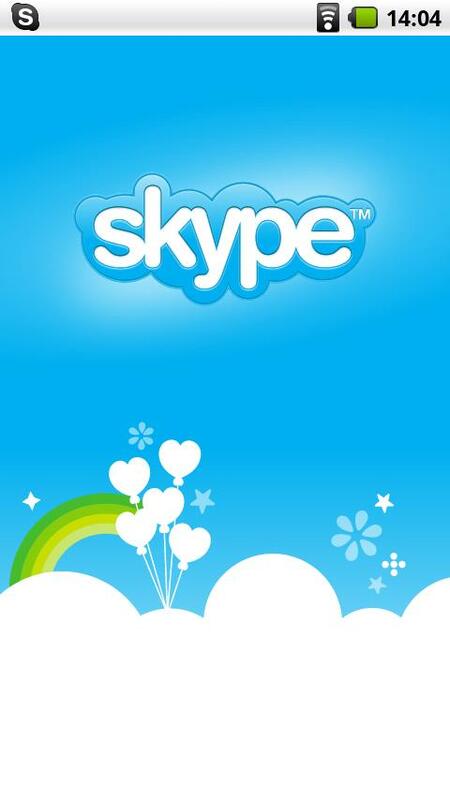 Everyone can send up to 20 free video messages; Skype Premium users can send as many as they like. · 14 additional devices whitelisted for video calling. · Video calls now supported in portrait and landscape. Double-tap to zoom. 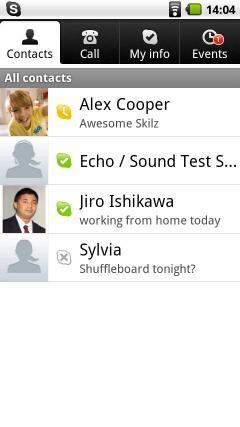 · Revised Recent view - conversations now grouped around your contacts. · Improved support for Bluetooth headsets. · It is possible to edit and delete IM messages. · Skype will no longer restart in the background when you sign out. · Use the app on your Samsung Galaxy S, as long as it’s running Android OS 2.2 or later. Instantly reach friends for free with Maaii. Call & text; send funny stickers, animations, photos, videos, audio notes and private messages for free! Skype doesn't work on the Creative Ziio 7 running Android 2.1. Excellent job for this brand! thumbs up!!! does this software works on s5233w samsung and is it voice chat enabled in this ? plz Help me skype download. skype can b downloaded on motorolla QUENCH bt while installing on da phn it says it cannot b downloaded! I need Skype to talk to my long lost sister in The Philippines. i need free skype software would u help pls? I cant see my friends and they cant see me we can hear eachother but thats it :( so I dont think it works on the lg lucid ... can anyone help? Skype 4.0 does not work anymore on vodafone smart II! !